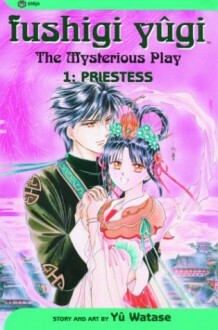 The discovery of a mysterious book transports Miaka and her best friend Yui into a strange new world reminiscent of ancient China. They set out to find and befriend seven Celestial Warriors, including dashing mercenary Tamahome and wannabe empress Nuriko. Only then can Miaka summon the power of the god Suzaku, find her true love, and get home safely. Kind of boring and the narrative doesn't seem to flow logically at all. There are many characters we're never introduced to, as well. Not really my cup of tea.